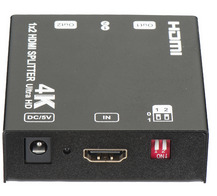 This 1x2 HDMI Splitter supporting HDR splits an UHD signal and sends it to 2 UHD Displays. 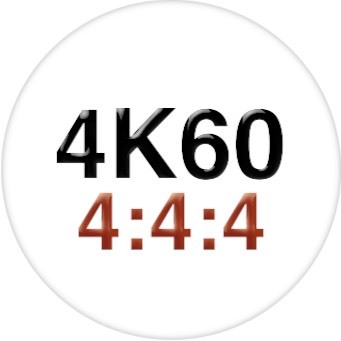 00: 4K: Outputs a default 4Kx2K source, in this case all outputs will display 4Kx2K if they support resolution 4Kx2K and above. 11: Default 1080p output: Outputs a default 1080p source, in this case all outputs will display 1080p if they support resolution 1080p and above. 10: Copy EDID: output 1 is prior port a. When output 1 is connected to one display, another display which connected to output 2 will follow the Resolution of output 1. b. When output 1 is disconnected, output 2 will output 1080p only. 01: Mixed EDID: Always follows the lowest resolution of the displays connected to output 2 in order to support all displays show the source. 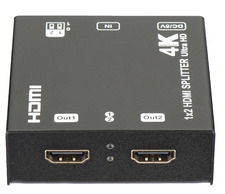 Why not buy this 1x2 HDMI Splitter supporting HDR & 4K 60Hz 4:4:4 color today? HDCP or 'High Bandwidth Digital Content Protection' is a signal standard designed to protect HD content from piracy and copying. Learn more about it in the below video. Why not buy this 1x2 HDCP 2.2 Splitter with EDID Management today?